Escape to Billy's with the family Easter Weekend, April 20th & 21st, after 10AM for a beautiful Easter Brunch featuring honey baked ham! Seating beside our gorgeous floor-to-ceiling windows overlooking the bay will go quickly. Call (949) 722-1100 to reserve. Who’s ready for MarchMadness!? Starting March 19th, escape to our gorgeous heated and covered patio where we’ve added two 50” and one 65” flat-screens for a total of five sets, giving a great view of each game from every seat! Let the Guinness pour and join us St. Patrick’s Day weekend for a feast fit for the saint himself! Alongside our toothsome island fare, we're excited to be offering up superbly tender Corned Beef & Cabbage, alongside a St. Paddy's Day edition of our world famous Mai Tai! 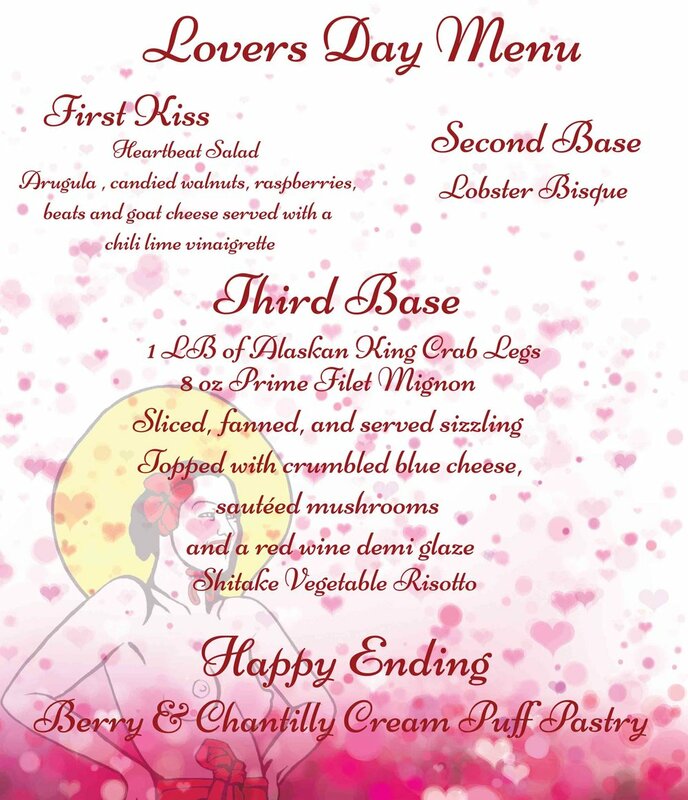 Celebrate the special someone in your life with a romantic four course prix fixe dinner for two ($150/couple) or with any of the outstanding offerings from our dinner menu along the waterfront! Call (949) 722-1100 to reserve your romantic rendezvous, seating beside our gorgeous floor-to-ceiling windows overlooking the Newport Bay will go quickly. Celebrate National Hangover Day in your PJs with us on Tuesday, January 1st 2019! We’re opening early New Year's Day for a lazy day of college football and brunch from 10AM to 1PM. Call (949) 722-1100 to reserve!